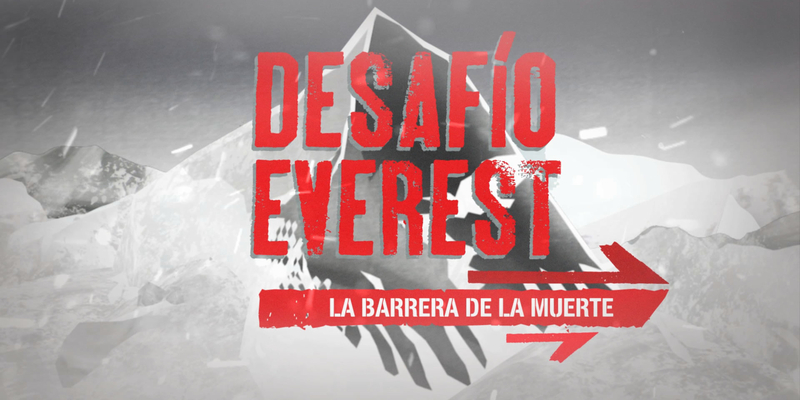 Opening sequence and titles for an extreme adventure program broadcast by Canal Cuatro. This reality-documentary series involves a huge expedition of a 30-strong filming crew, 10 amateur contestants and the renown Spanish adventure traveler Jesús Calleja. To create a sense of adventure and tension for the opening sequence, we concentrated on elements that would add drama such as snow storms, risky climbing and brisk camera movements, all accompanied by music that gradually crescendos when the contestants see how much farther they still have to climb. The camera quickly falls back to reveal the summit of the mountain. The program name appears while Jesús Calleja briefly states their mission.